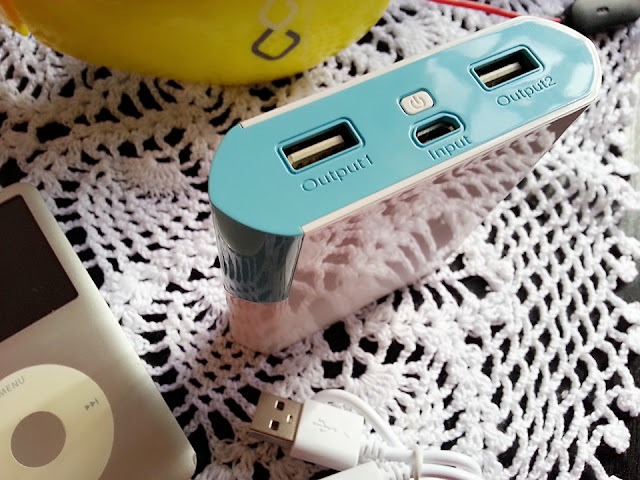 Power bank has been a necessity since the era of smartphones. my current Samsung Galaxy S3 requires more TLCs and may demand up to 2-3 times of battery charge per day! All these applications drain energy like water and the next moment, people will be running around hunting for chargers and powerbank before their phone literally dies on them because we all know we can no longer live without them. Just when my personal power bank decided to give up on me after 5 years and I had to look for a new one before my trip to Japan in October, a parcel appear on my doorstep. 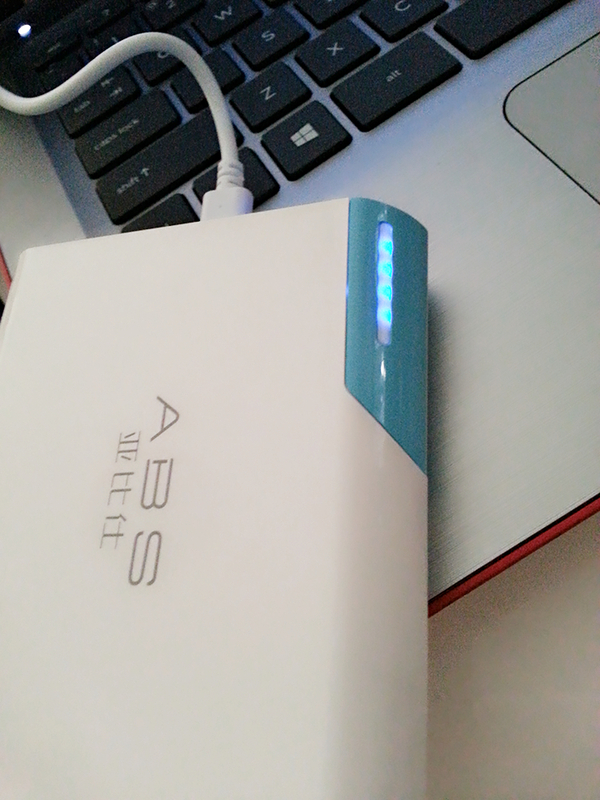 Twice larger in size than my loyal battery, it is no surprise that the ABS power bank provides double the power. At 10400mAh, the ABS's Y40 model charges up to 6 times (**comparing it to my Samsung phone). 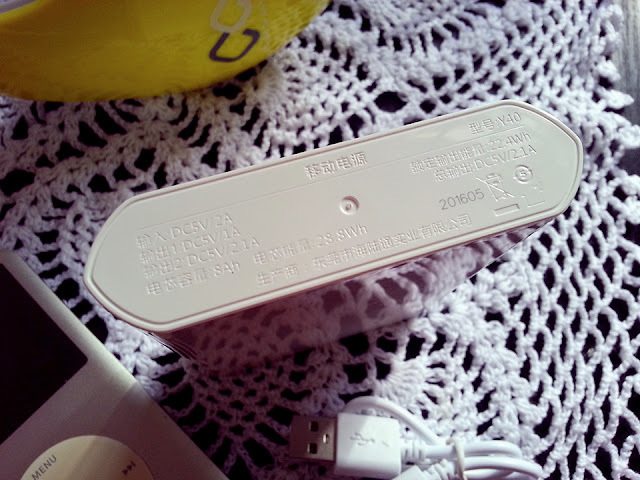 Press the ON button to indicate the remaining energy in your power bank, shown by the number of lighted up LEDs. Due to it's large capacity, it only make sense that longer time is required to feed this hungry Y40 ABS power bank, especially when you charge it for the first time. TWO OUTPUTS for Your Phone and Tablet! Should you be looking for a reliable power bank for long term 100% satisfaction guaranteed, you can get them at the locations listed here. 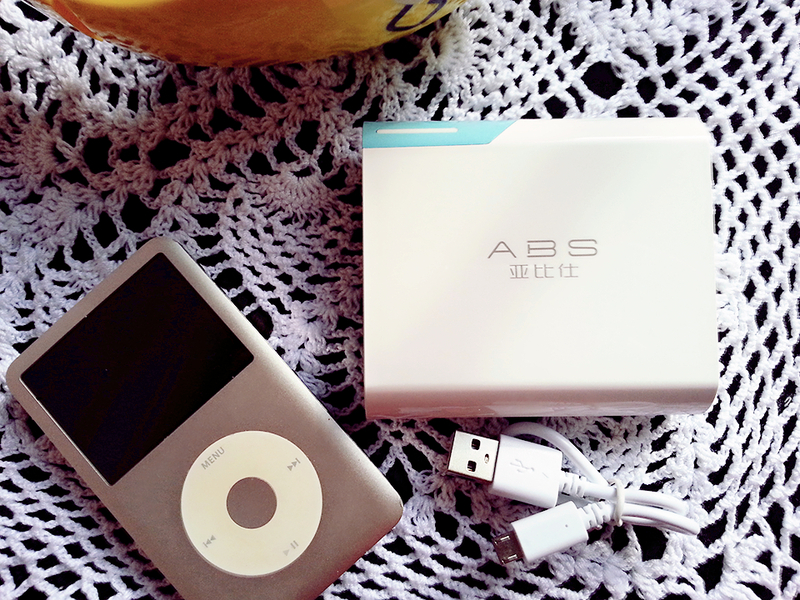 ABS power bank Official online store is now available on 11 street. Currently, there is a Merdeka Sales on-going with discounts of 20%-30%. Promotion valid until 31st August 2016. There are many other power banks and accessories that will suit your needs, so check them out! 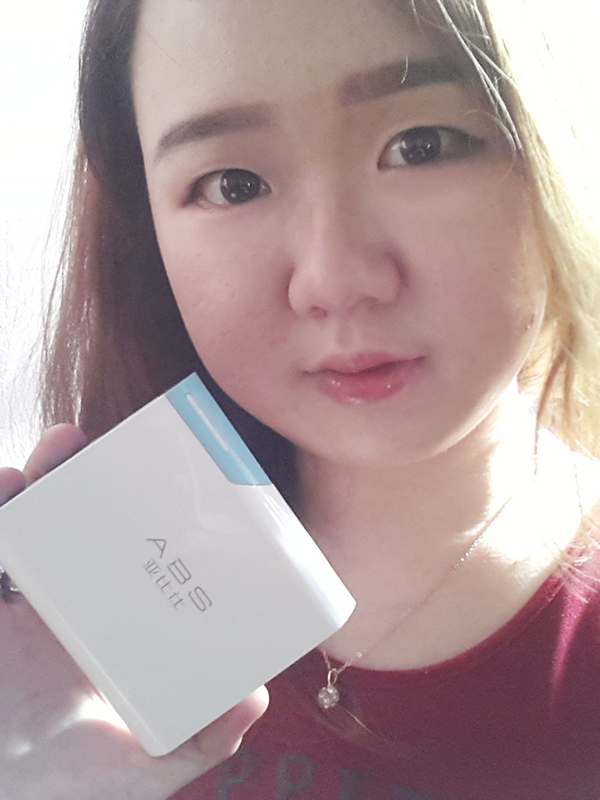 C Two Gadget is the sole distributor of ABS Power bank, so make sure you purchase from the original dealer. 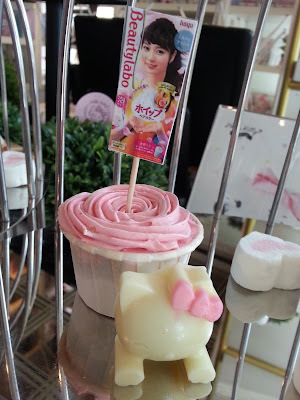 Hoyu has recently launched the new BeautyLabo Whip Hair Color of new improved technology and quality at the Hello Kitty Gourmet Cafe, Sunway Pyramid. This offers easier application with improved foam quality and better coloring results from the comfort of your home. The improved whipped foam is finer and thicker for a more even application and beautiful color results. 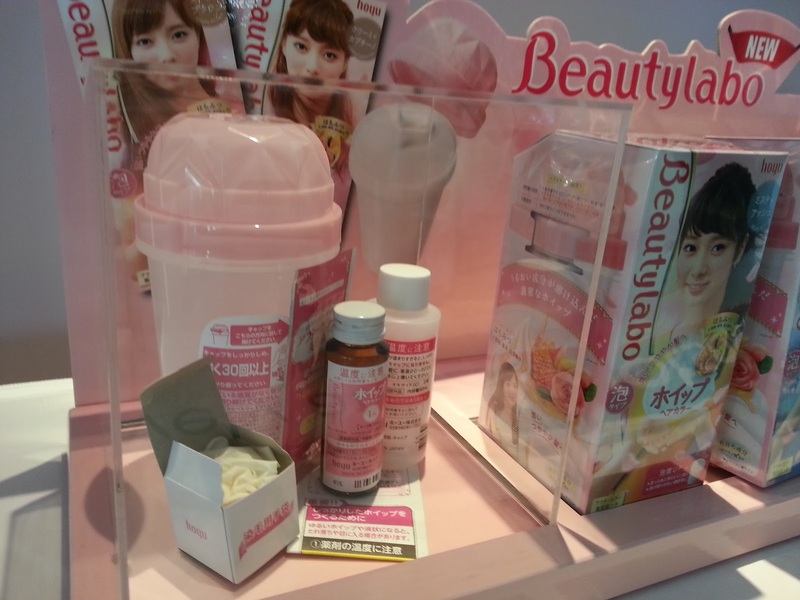 Each box come with a separate bottle of Liquid Color Base and Liquid Developer. Just pour the two ingredients into the provided shaker container, close tight and shake it vigorously of at least 30 times to allow thorough mixing and frothing. The perfect texture would allow you tipping the foam upside down and will not fall or drip; exactly how a perfect whipped eggwhite will work! Scoop it up with the provided gloves and apply the required amount. (Peach, Orange, Lemon and Apple juice) infused with Honey and Rose water to add the beautiful shine and leave your hair well moisturised. Start from the end of your hair and apply upwards. The heat contact from scalp may facilitate faster color adhesion as compared to the hair ends. 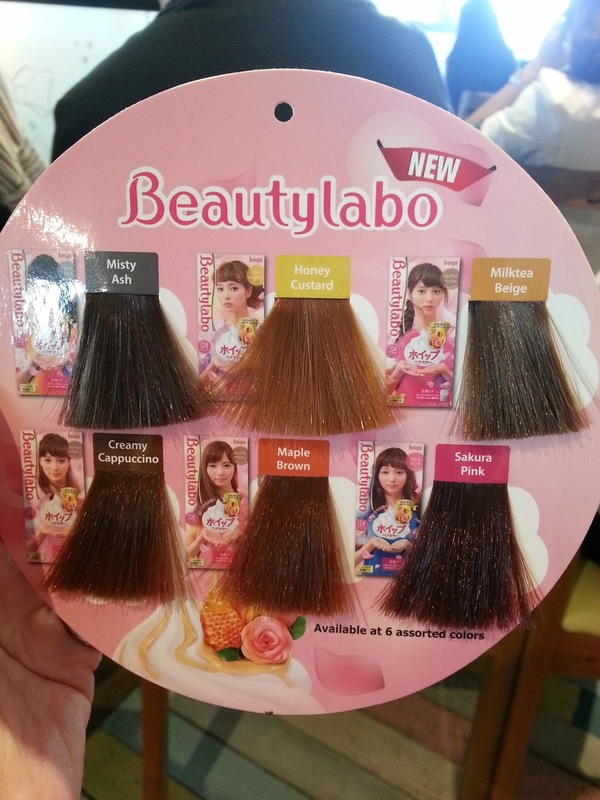 Although the BeautyLabo Whip Hair Color dye strength is relatively low, be careful during application to prevent staining on the skin. Applying Vaseline gel may help. Always perfom the Allergy test (in the inner side of the upper arm) prior to each hair dye sessions. The constant changes in hormone and body immunity can affect your DIY hair color experience and each experience may not be the same. 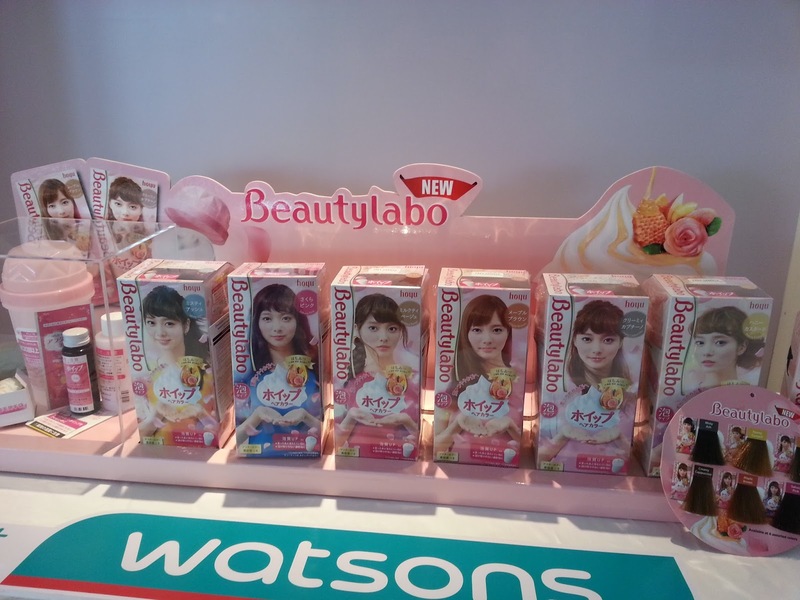 BeautyLabo Whip Hair Color has also introduced 6 new colors to suit different styles and occasions. The most popular color would be none other than Maple Brown 4-0, as it is most natural and wearable color, suitable for all events! 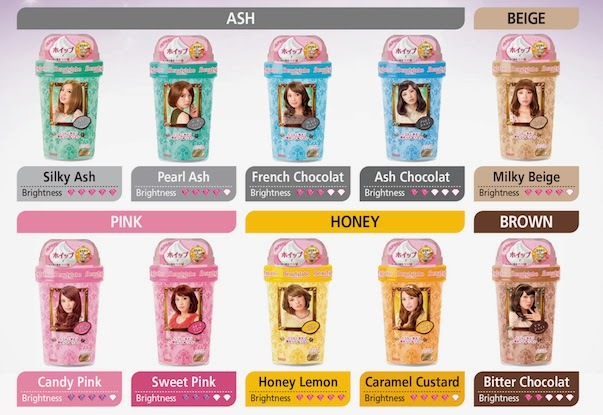 6 NEW attractive colors to choice from for each occasions! 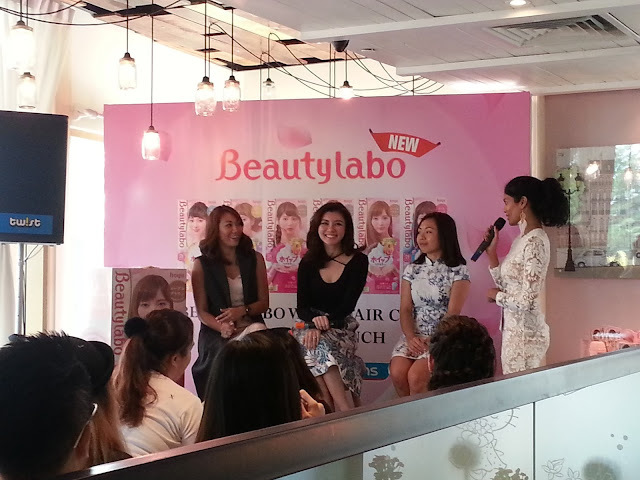 Medias and invited guests were given the chance to experience how to DIY with the BeautyLabo Whip Hair Color and it looks really EASY! During the Q&A session, here are some frequently asked questions by most DIY hair color users. 1. 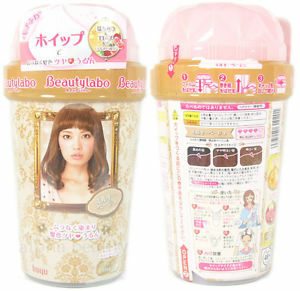 Question: Is BeautyLabo Whip Hair Color safe to be use with other hair chemical treatments, eg Perm, Relax and Rebond? 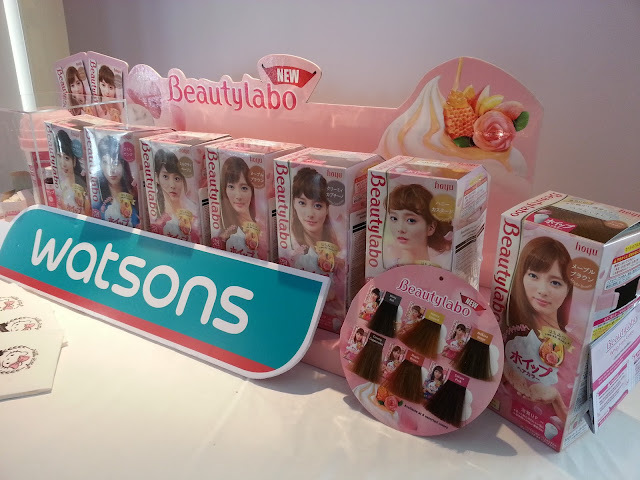 Answer: BeautyLabo Whip Hair Color uses substances that are mild and less harmful to human's body and hair, but be sure to do hair perm or others 1-2 weeks prior to hair coloring to ensure longer staying of color power, which will be affected with every hair wash or use of chemical treatment. 2. Question: How to maintain the hair colors for a longer time? Answer: Among the methods would be wearing a swimming cap before swimming. Chlorinated waters will cause some damage to your crown of glory. 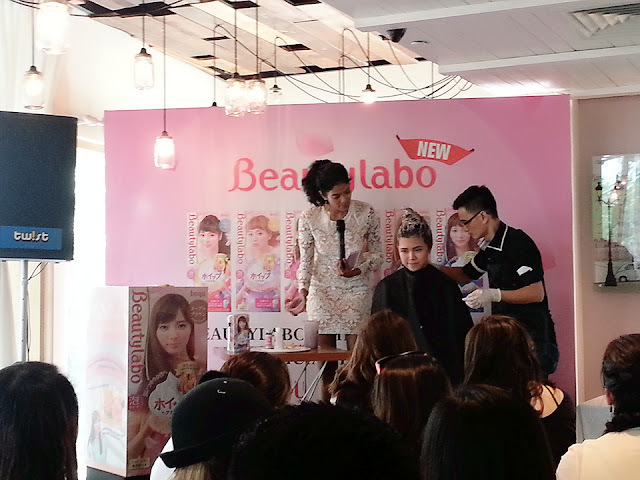 Thank you BeautyLabo and Watsons Malaysia for the invite!